There are extra vulnerabilities those of us with garage doors have to consider for security. 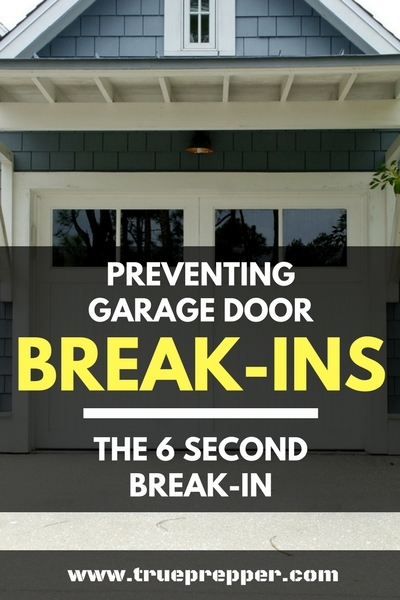 Garage door break-ins are easy and can be done without leaving any sign of entry. 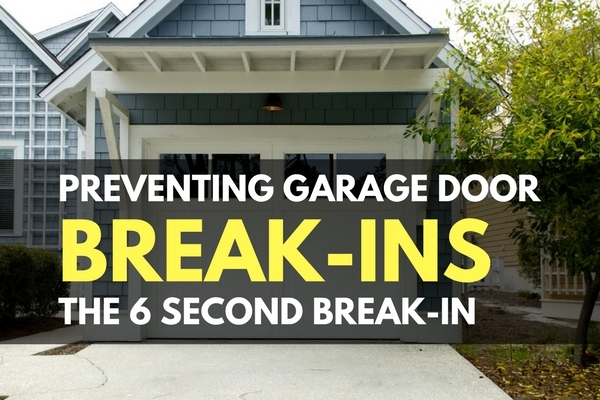 They can be broken into so easy, it can take a home intruder only 6 seconds to release the garage door. Luckily, there are plenty of ways to bolster security in the garage, and we’ll list them out below. One of the quickest ways for a burglar or intruder to gain entry to your home is the 6 second break in. This technique to gain entry to a garage is pretty simple. You apply pressure to the center top of the door from the outside. Most doors will easily bow in, allowing you to fish a hanger in to hook the garage door release trigger. Once this string is pulled, the door can easily be lifted. Manufacturers include this release mechanism so that people can easily escape their homes in the event of an emergency. This is, of course, a double-edged sword since people can use the same release to open the door from the outside. One of the easiest ways to prevent the 6 second break-in is to cut the cord and handle that dangles down from the release latch. It is much harder for an intruder to hook the actual release latch than the string. If that isn’t secure enough for you, place an easily cuttable or breakable zip tie on the release latch and let everyone know to cut it in case of an emergency. Manual locks are a tedious, but very good solution to keeping garage doors closed. You have to be inside the garage to close a manual lock, which limits when it can protect against intruders. If these are engaged on a door, an intruder would have to bash the door in to gain entry. Make sure you use long screws to install them to ensure that they are rock solid: Prime Line Garage Door Deadlock. Garage Shield offers an option to help prevent garage door break-ins by blocking the release with an actual ‘shield.’ The shield blocks the line of sight and the path the coat hanger uses to grab the string. This fix costs some money, obviously, but allows you to still utilize the emergency release latch in the event of an emergency. Whether you are a suburbanite with a garage door opener, an apartment dweller without a garage, or a homesteader with a manual lift garage – you never know when this information can come in handy. Protect your house and everything you’ve earned. We have an older article talking about other vulnerabilities in your home and a few more ways burglars could break in. Keep exploring, stay prepared, and be safe.